The Mojo HD’s 1×10 drivetrain is due for some love including a new chainring, chain and cassette… which inevitably leads to wondering what if any changes to make. Like anyone running 1x and doing a drivetrain overhaul SRAM’s sweet 1×11 is an option to consider. I would no doubt love the increased range but the prohibitive cost, inconvenience and waste rules it out for me. I’ve essentially been running the same 1×10 33 tooth chainring 11-36 cassette configuration on the Mojo HD since December 2010 and have been incredibly happy with it. Really the only question is whether to stick with the 33 tooth chainring or go up one to 34. Running the 33 tooth chainring I can generally maintain a reasonable cadence up the sustained steep-ish climbs in these parts and not strain my knees excessively. When things do get tough there’s enough out of the saddle spin to get the job done. I would love just a little bit more top end grunt but not if it comes at the expense of my creaky knees. I reckon my knees get the final say on this one. If they ain’t broke, don’t break em! I’ll probably stick with a 33.
have you seen this (http://www.pinkbike.com/news/General-Lee-Wide-range-Cassette-Adapter-First-Look-2013.html)? Not super cheap but it would give you a nice wide range in the back without going XX1. Team it with a 34, 35 or 36 in the front and you’d be set. Heya Paul, thanks have read about the General Lee, only for SRAM though and yeah not cheap. Would also rather not compromise shifting performance. I’m happy to wait and see what comes next either from Shimano or a third party. 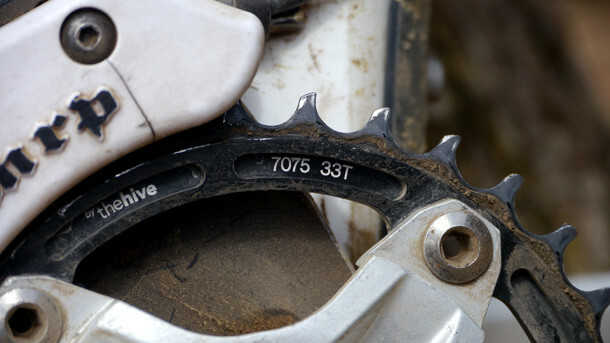 In some ways SRAM’s 1×11 is more than I need/want. I’m hoping for a slightly wider range Shimano compatible 10 speed cassette, that would do the trick.